If you know anything about me, you know I will always support a great cause. It would be amazing if we could all support one another's causes, but it always takes a connection or some close encounter to get us involved. Or so it seems, right? One of my best friends growing up had her mom cut it close; I've had lots of friends throughout my life tell me about their mothers, aunts, grandmothers, etc. One of my friends is going through the same thing at the moment, and it's always a hard topic to discuss. That is why when REVIVE Project reached out to me, I couldn't say no. I appreciate the cause, I support the cause, and I want to find a solution. I have a tiny little piece of the internet where you all come to read my ramblings, and I have to use it for good when I can. What I love about REVIVE Project is their knack for technology as well as a great cause of course. 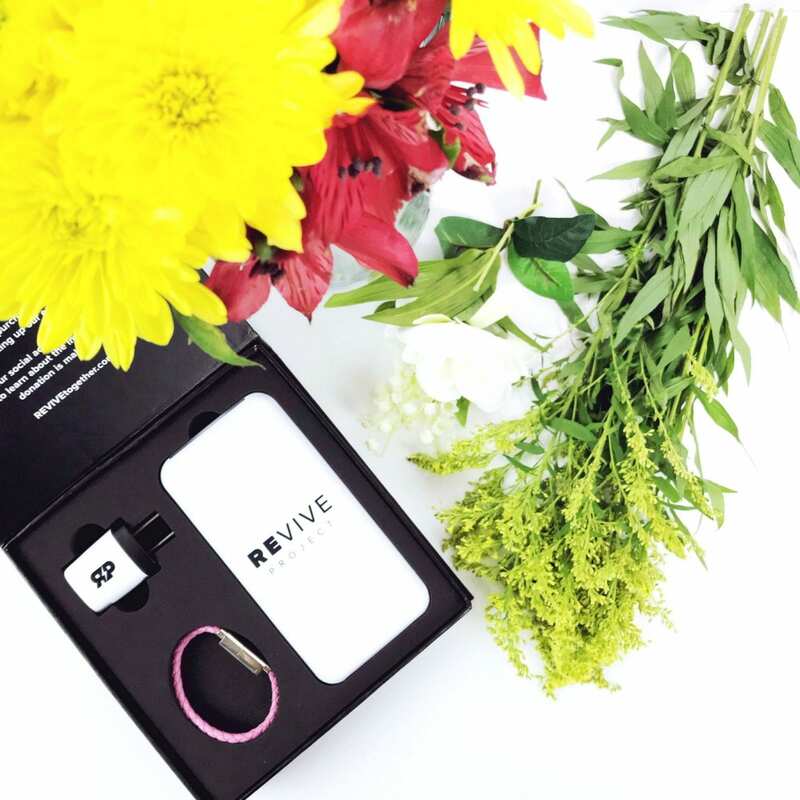 Their REVIVE Project charging cable bracelet looks so cute and classy (especially in the light pink!!) but it is also a Lightning Cable or Micro-USB Cable. How fetch. I've had Mean Girls on my mind recently and I think it's because it was National Mean Girls Day recently, but I just think it is super cool that this is multi-purpose bracelet, supports a great cause and is so cute. 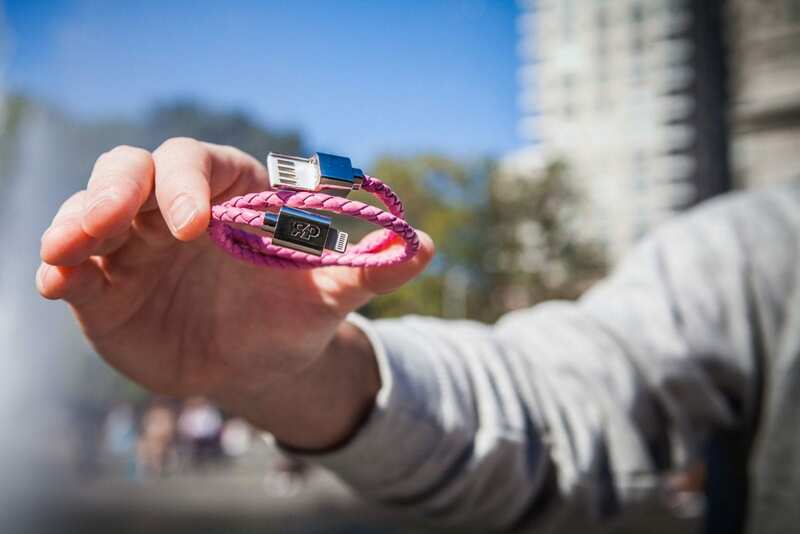 REVIVE Project teamed up with the National Breast Cancer Foundation (NBCF) and are donating 10% of proceeds from their limited edition pink bracelets to NBCF. While REVIVE Project is donating some of their proceeds to breast cancer research, they are no strangers to good causes. Their main focus is bringing power to more people in the world. Life without electricity is a reality for over a billion people. I didn't know that fact until I started doing some more research. Can you believe there are that many people on this planet without electricity? REVIVE Project has committed to donating their 10% of net proceeds to the Little Sun Foundation. Those proceeds help fund humanitarian and education projects that provide clear, safe and "sustainable light to school children and refugees living without access to electricity." What's one cause you always participate in and encourage your family and friends to participate in as well?